Park City, UT – The 2015 U.S. Revolution Tour, organized by the U.S. Ski Team and U.S. Snowboarding, is celebrating its eleventh anniversary this year with halfpipe and slopestyle stops in Copper Mountain, Colo.; Seven Springs, Penn. ; and Mammoth Mountain, Calif. 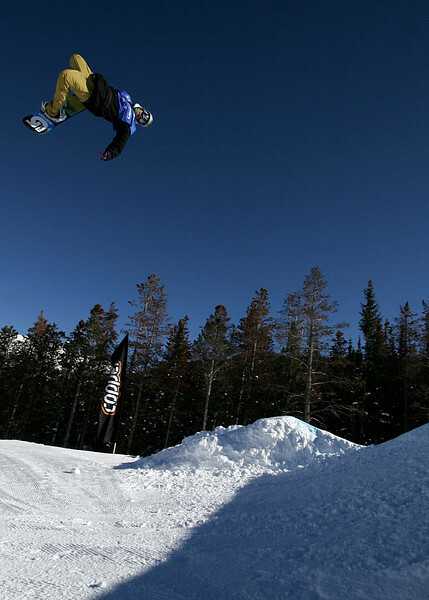 This year, the Rev Tour will be adding Big Air to its schedule in Mammoth, giving up-and-coming athletes an opportunity to prepare for Big Air as the International Olympic Committee looks to consider adding the event to the 2018 Winter Olympic Games in PyeongChang. This will also mark the first year that the Rev Tour and Hole Shot tour will work together, giving both snowboardcross and skicross athletes an opportunity to train and compete on world class venues at both Ski Cooper, Colo., and Squaw Valley, Calif. The 2014-2015 season, the Rev Tour has doubled its prize purse for a total of $67,000. The Rev Tour will be a World Snowboard Tour National Level event as well as an ASP Silver Level event. The U.S. Revolution Tour started in 2003 to bridge the gap from grassroots competition to the elite level, and it works. 2014 Olympic Champions, Sage Kotsenburg, Maddie Bowman and Kaitlyn Farrington have all used the Rev Tour as a stepping stone to launch their successful careers. Athletes can register for the event at ussnowboarding.com.